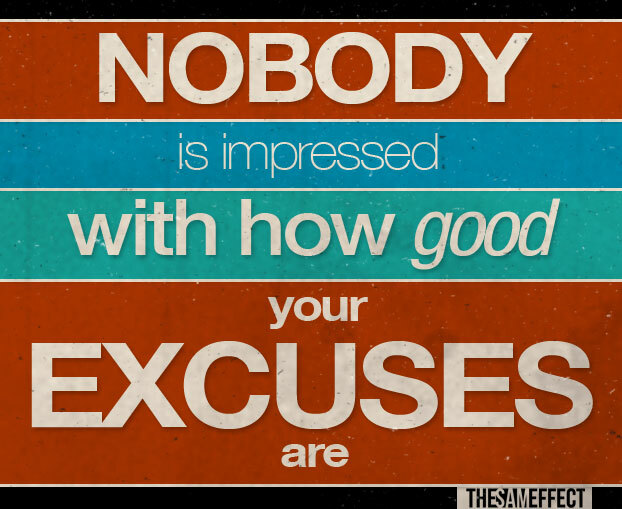 Do you constantly find yourself making excuses? Do you tell yourself that you are going to change for the better? Do you envision a life where you are happy all the time? What is stopping you from getting to that point? Changing for the better requires YOU Changing! You probably expect that things will change just because you want them to. Well, the world doesn’t work like that. In coming YOU-Letters (these are not newsletters….. these are all about YOU and changing YOU for the best life you can live…..becoming the Improvement Warrior) we are going to delve into some specific tactics that will help to create the life you want to create. There are no lazy people in this world. People can become lazy. But then again people can become driven and focused. Laser focused! Lazy people are either two things. They are either sick, or they have not found the work (or hobby or skill) that he or she likes best. Inactivity leads to boredom and boredom leads to laziness. But on the other hand….. activity leads to interest….. interest leads to enthusiasm and ambition. So let’s stop finding excuses and find something that excites us. Something that gets us moving. If you are ready to accept a challenge to yourself and become the best possible YOU, Mindtamer will unleash your potential. It’s a simple process, but it requires action. No excuses. Time is going to pass regardless of what you do. Why not make your life AWESOME every single day! And improve every single day! Time is a big excuse the majority of people use. Is it really a lack of time or something else. If it is truly important you will make time. Successful people make the time for important things. Non-Successful people make excuses for important things. Your someday is now. Take ACTION!